Shauly Waldner is the hottest new album in the Jewish music industry. Click on the play button to listen to a preview of this new CD. His name is almost as familiar as his golden voice, which has been gracing bandstands at simchos worldwide over the past five years. From Europe to California, from Toronto to Texas, audiences everywhere have been clamoring for more and at long last, more is exactly what music lovers will be getting with the release of Shauly’s debut album, Tov Hashem, yet another rung on the ladder of what is sure to be an illustrious career. Featuring twelve songs that Shauly hopes will appeal to a diverse crowd, Tov Hashem is a carefully compiled collection of talent whose credits are long and impressive. Compositions by Yitzy Waldner, Pinky Weber, Dovid Klein, Motti Ilowitz, Lipa Schmelzer and Ruli Ezrachi, are polished to perfection with arrangements by Naftali Schnitzler, Moshe Laufer and Ruli Ezrachi and enhanced with choirs by Moishe Krauss, Nafatli Schnitzler, Moishe Roth and Shloime Kaufman. The songs run the gamut, from the warmth of Elokai, a stunner of a song by Pinky Weber, to the pumping techno of the title track, composed by Lipa Schmeltzer. 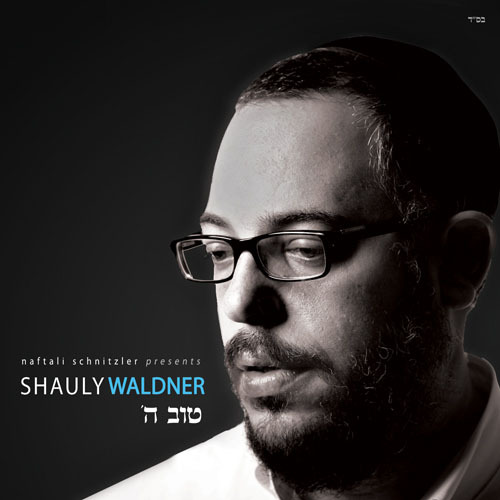 The emotional What Will Be, appearing also in Yiddish as Vos Vet Zayn, was especially moving for Shauly, who wanted to include a meaningful song that would resonate with Jews all across the religious spectrum and be a source of inspiration during difficult times.Tov Hashem is produced by Naftali Schnitzler.